The Linn-Mar High School Orchestras will be joined on stage by the internationally-known group Time for Three (Tf3) for a very unique high school performance. The concert will take place on Thursday, February 14th at 8:00 pm in the high school auditorium. Tickets are $10 and the event is open to the public. 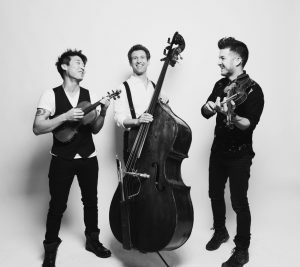 The music of Tf3 ranges from Bach to Guns n’ Roses, the musical Hamilton to Czardes, and songs Hallelujah to Orange Blossom Special by Johnny Cash. Tickets can be reserved at the Linn-Mar Orchestra website.